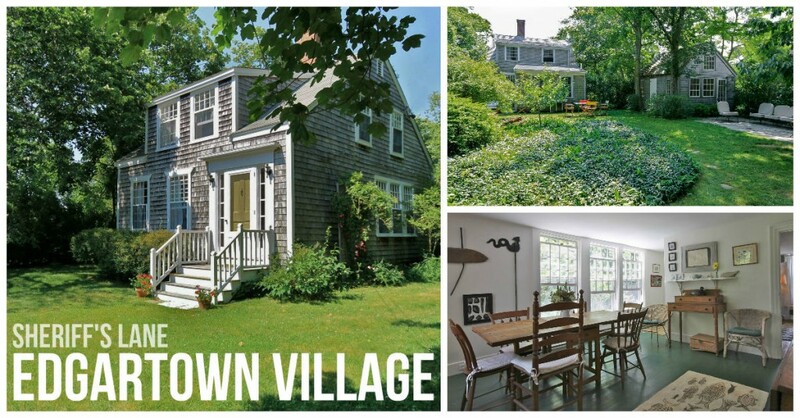 Feature Friday: 11 Sheriff's Lane, EDG - Sandpiper Realty, Inc.
A true hidden treasure ~ Located in the heart of the Edgartown Village yet tucked away at the end of a quiet side lane is a most charming antique home. The existing home and outbuildings may be renovated and expanded or if brand new is the vision, the land lends itself perfectly for a new sizable residence. The grounds are lush and mature, offering unexpected privacy and seclusion - additionally, your neighbor is Sheriff's Meadow, offering nearly 20 acres of conservation land to walk and enjoy sweeping views of Eel Pond and Nantucket Sound.